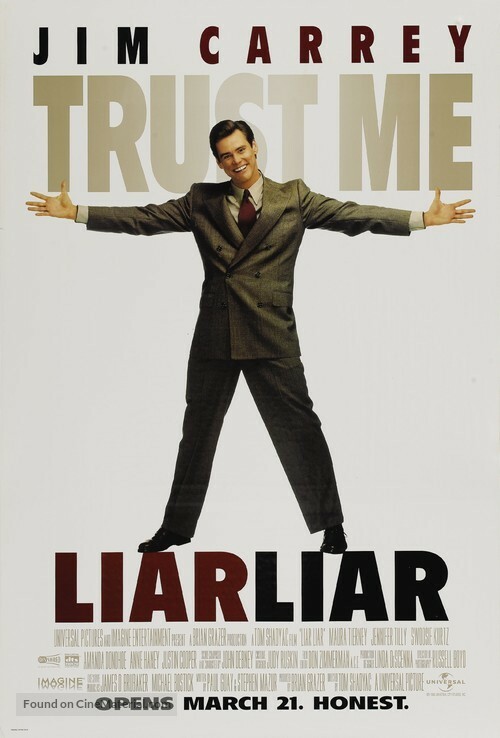 Liar Liar movie poster. Copyright by respective movie studios. Intended for personal use only and strictly forbidden to reproduce as printed posters. This poster is unavailable for download. Please contact the appropriate movie studio if you need it.